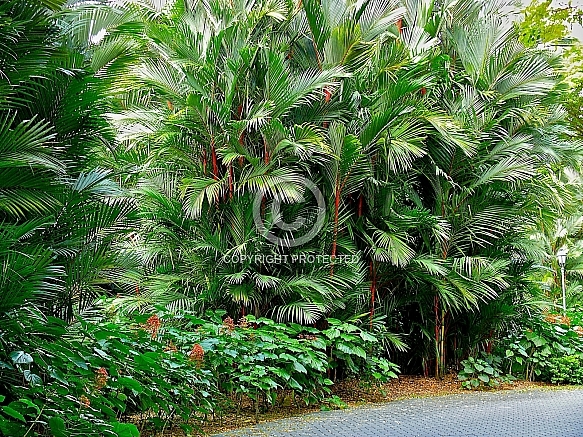 Description: A spectacular palm requiring warm humid, tropical climates to grow successfully. Normally reaching 4 - 5m in height and clumping in habit. Our example was photographed in the Singapore Botanic Gardens.